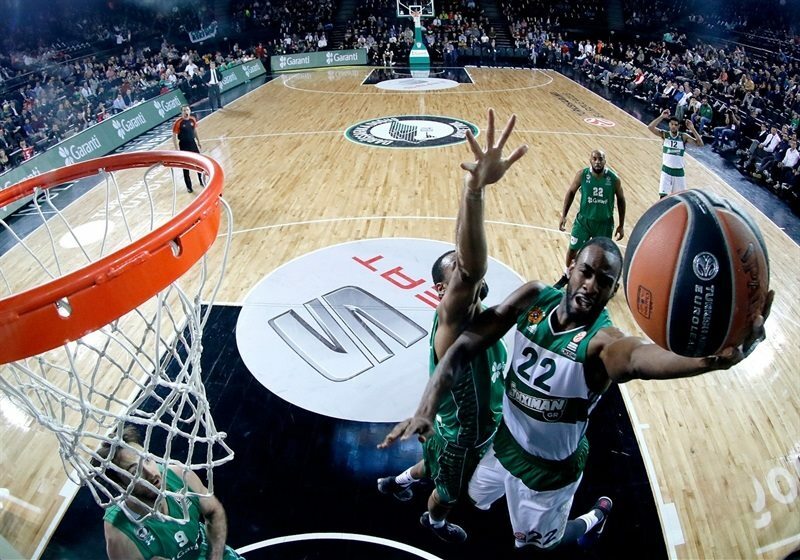 Elliot Williams scored 5 points in the final 27 seconds to lift Panathinaikos Athens to a thrilling 84-86 road win at Darussafaka Dogus Istanbul on Thursday night. The win improved Panathinaikos’s record to 8-4 in Group E, and it will qualify for the Turkish Airlines Euroleague Playoffs with one more win or one more Anadolu Efes Istanbul loss. Previously eliminated Darussafaka dropped to 3-9. Semih Erden scored 13 points to lead the hosts to 27-15 lead in the first quarter, and the margin increased to 13 points in the second. 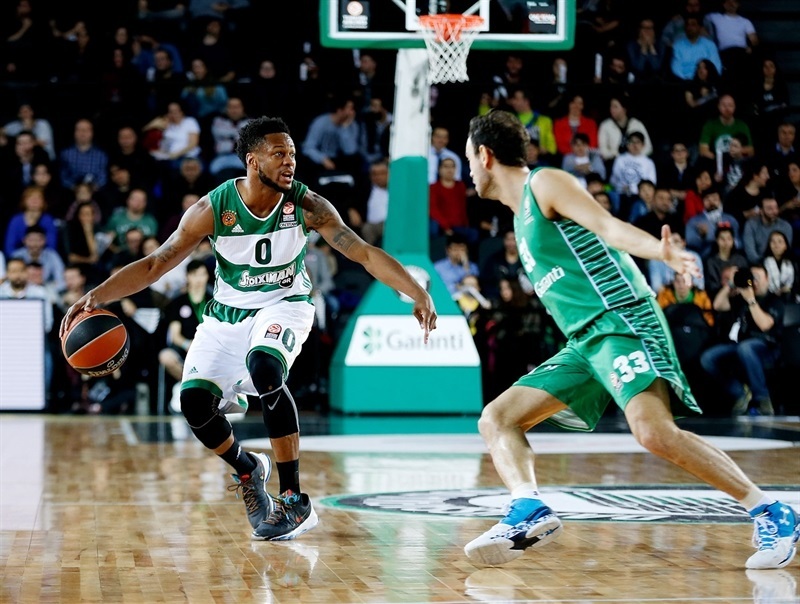 But Panathinaikos finished the first half with 11 unanswered points to cut the margin to 42-40 at the break. The teams traded leads for the entire second half, with neither building a lead bigger than 5 points. 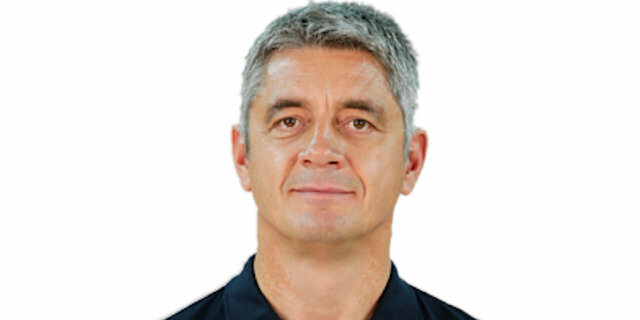 As the game went down the stretch, Darussafaka led 84-81 in the final minute, but Williams hit a triple, then grabbed a defensive rebound and drew a foul by Scottie Wilbekin on a breakaway with 2.4 seconds to go. Williams made both foul shots and the visitors held on to an important win. Williams finished with 19 points on 10-of-10 free throw shooting. 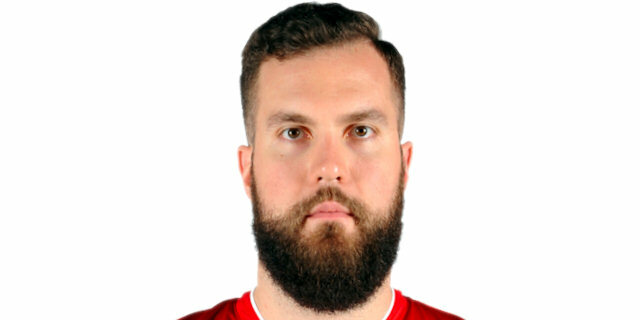 Miroslav Raduljica paced the winners with 21 points, James Feldeine netted 12, and James Gist added 10 in victory. For the hosts, Erden scored 16 of his 18 points in the first quarter and Erden also rejected 4 shots. Wilbekin scored 13, Manuchar Markoishvili 12 and Emir Prledzic 11 points in defeat. Gist drove for a baseline dunk to open the scoring, but Reggie Redding countered with a turnaround jumper. Raduljica scored inside, but Erden got going with a three-point play, and another jumper from Redding made it 9-4. 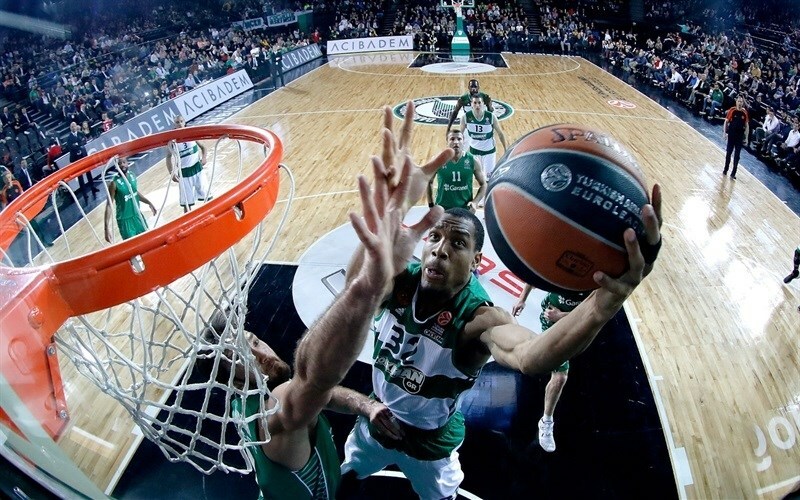 Williams slashed to the hoop for Panathinaikos, but Erden scored from close range. Gist made a driving layup and Raduljica added a put-back for the visitors, but Mehmet Yagmur nailed a triple to make it 15-10. After free throws from Williams, Yagmur twice dished a no-look pass for Erden, who finished with a pair of dunks. After a Panathinaikos timeout, Gist made a short jumper, but Markoishvili replied with a long jumper for Darussafaka. Erden continued his dominance inside, scoring from close range, then blocking Raduljica on the other end, before he knocked down a pair of foul shots to make it 25-15. Erden had 13 of the hosts’ first 25 points, before a steal and dunk from Redding opened a 12-point margin with two minutes left in the quarter. Vince Hunter made a layup, and after a turnaround baseline jumper from Erden, Dimitris Diamantidis nailed a tough triple to make it 30-22. Darussafaka big man Marcus Slaughter set the tone in the second quarter, first denying Hunter’s dunk attempt with a monster block, then grabbing an offensive board and feeding Preldzic for a three-pointer. Preldzic returned the favor on the next possession with a pass for Slaughter’s alley-oop dunk and a 35-22 advantage. After a Panathinaikos timeout, Raduljica scored inside, but Preldzic made a floater to keep the margin in double figures. Feldeine made foul shots and a driving layup that cut into the deficit, but Scottie Wilbekin hit a triple and banked in a floater to re-open a 13-point lead. However, Raduljica answered, banking in a jumper before Gist made a defensive play that MarQuez Haynes turned into a fastbreak layup. 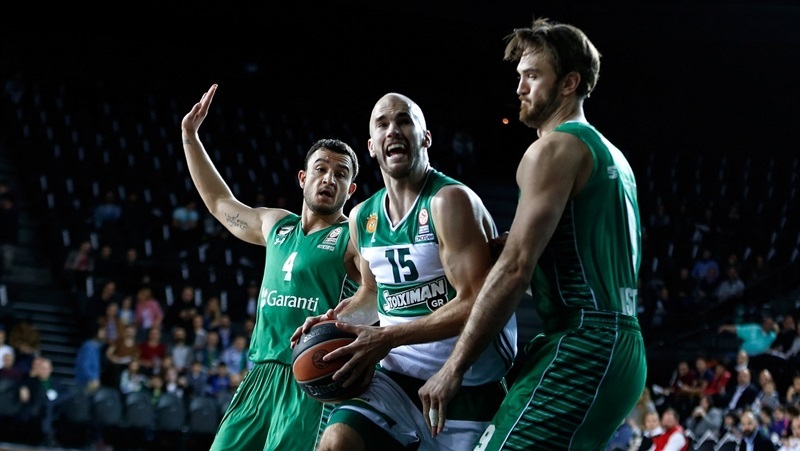 Raduljica scored again from close range to make it 42-35, After a timeout, in the final minute of the quarter, Diamantidis nailed a three-pointer after some great ball movement, and free throws from Haynes got Panathinaikos to 42-40 at halftime. Gordon drove for a layup to open the second-half scoring, but Williams made free throws and fed Raduljica for a fastbreak dunk and a 44-44 tie. 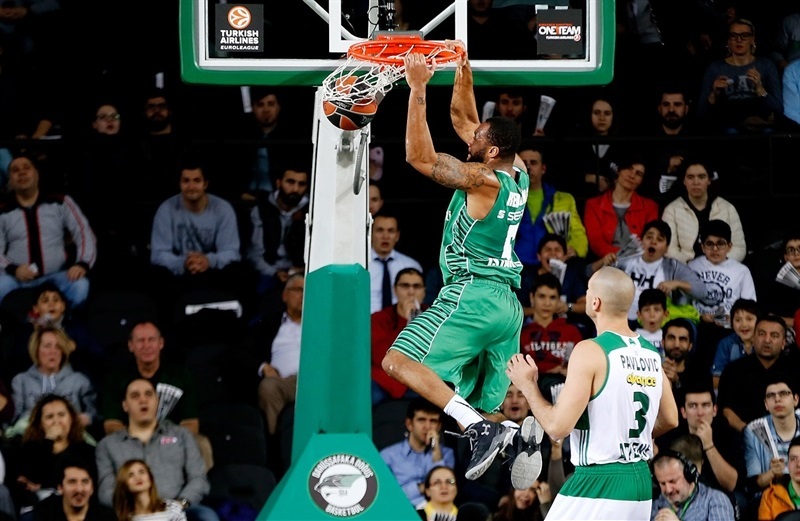 Williams followed, finishing a fast break himself, to put Panathinaikos up 44-46. Erden had a dunk for the hosts, and Luke Harangody hit from long range put the hosts back ahead 49-47. Raduljica scored inside, but Markoishvili nailed a pair of threes for Darussafaka, and Wilbekin added one from long range as well, giving the hosts a 58-53 edge. 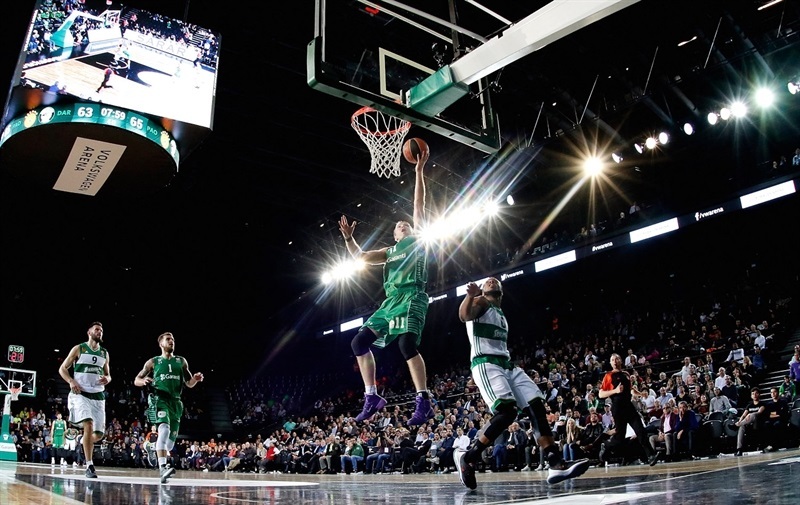 But Panathinaikos came back with back-to-back jumpers from Feldeine and Diamantidis. 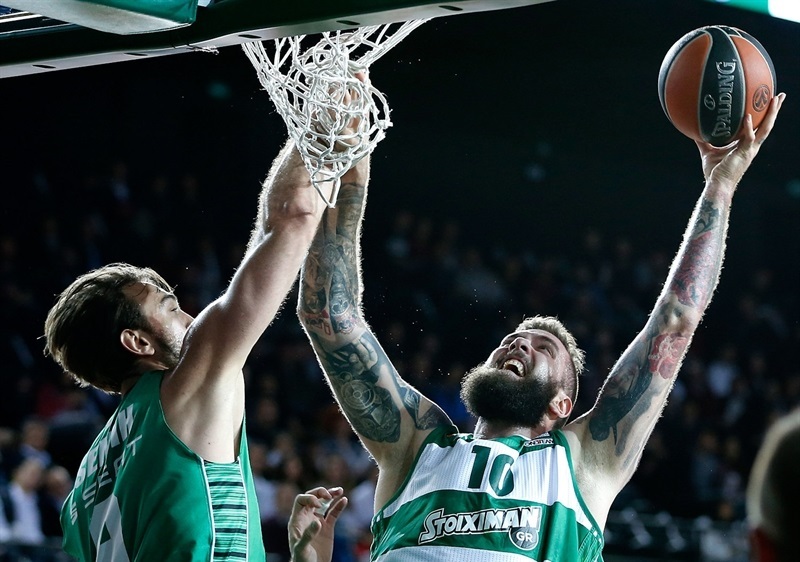 Wilbekin and Milko Bjelica made 4 of 6 free throws to keep the hosts with ahead, but in the final 35 second of the quarter, Antonis Fotsis and Feldeine each hit a three-pointer to give Panathinaikos a 63-65 edge. Markoishvili came up with a steal and a fastbreak layup and Bjelica scored inside to put Darussafaka back in front 67-65. The Greens did not score a basket for more than three minutes until Raduljica got crafty inside to tie the game. 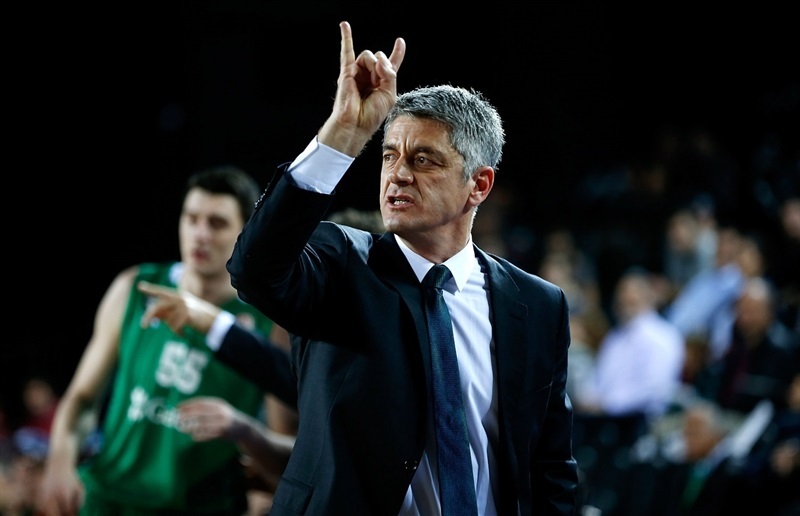 Preldzic nailed one from long range, and Bjelica made a move in the low post to give the hosts a 72-68 edge. Diamantidis and Gist hooked up for an alley-oop dunk, but Preldzic knocked down a corner three to make it 75-70, which led to a Panathinaikos timeout with exactly five minutes to go. 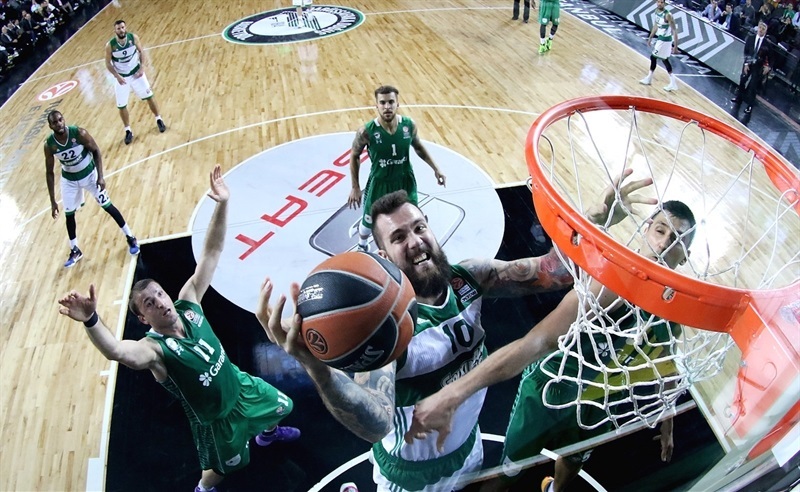 Raduljica fought for a layup, and after a Darussafaka timeout, Feldeine tied a game with a three-pointer. Markoishvili drove for a layup, but Williams answered with a mid-range jump shot. Panathinaikos made a pair of defensive stands, then regained the lead with foul shots from Williams and Raduljica, 77-81 with 1:36 to go. After a timeout, Gordon scored a quick driving layup, before Darussafaka made two defensive stops. 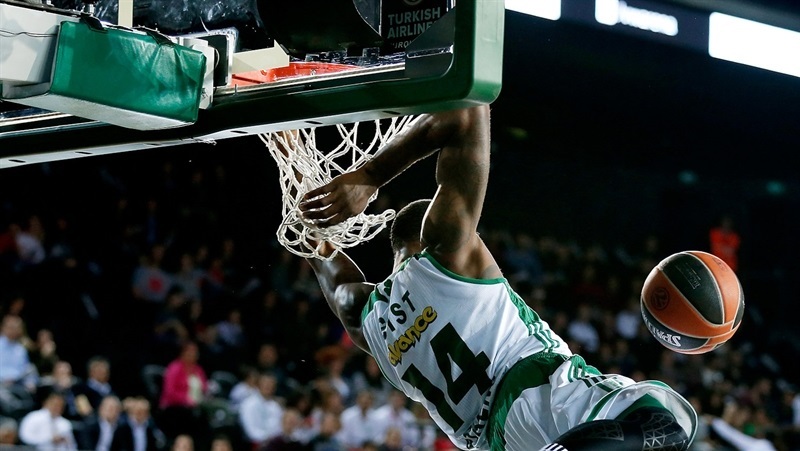 Gordon scored free throws, and Wilbekin was fouled behind the three-point line and made all 3 foul shots to put Darussafaka in front 84-81 with 41 seconds left. On the ensuing possession Williams buried a three-pointer to tie it. After a timeout, Wilbekin missed a tough runner and then fouled Williams on a breakaway with 2 seconds to go. Williams made both foul shots to put visitors up by 2. 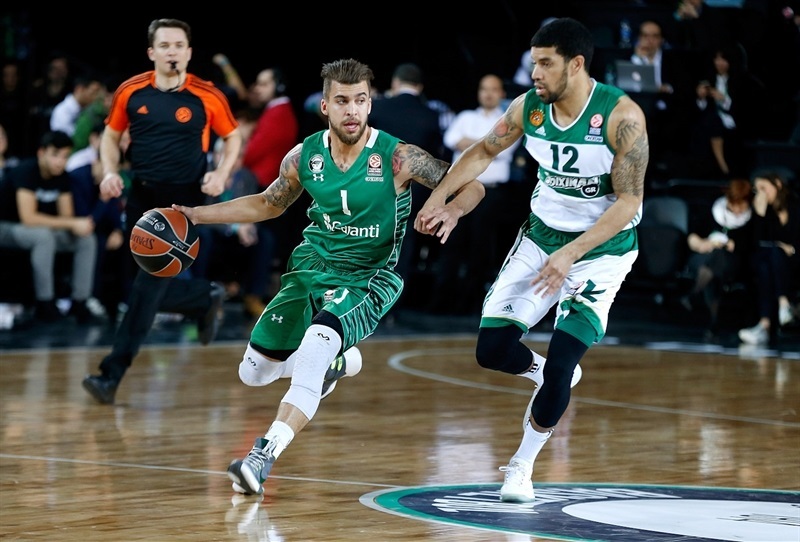 Wilbekin took the last shot from half-court, but missed as Panathinaikos prevailed. "It was a very tough battle, as you saw. Until the last moment you did not know who is going to win. It was a very good clash of two great teams. Fortunately we won. We showed great energy and just kept playing until the very end. And we won."